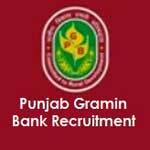 Punjab Gramin Bank Recruitment 2015 – 26 Officers & Office Assistant Posts:- Punjab Gramin Bank has released latest notification for filling up 26 Officer Junior Management (Scale-I) & Office Assistant (Multipurpose). Candidates who have been declared qualified in the Online CWE- III for RRBs conducted by IBPS during September/ October 2014 can apply online from 01/09/2015 to 15/09/2015. Educational Qualification: Degree in any discipline from a recognized University or its equivalent. Proficiency in local language of the State/UT- Punjabi. (a) local language at 10th Standard Level. OR (b) Native Language at 10th Standard level. OR (c) Local Language at any level above 10th Standard &upto Graduation level. Last Date for Reprint: 30/09/2015. Application Procedure: Eligible and interested candidates can apply online through the website http://www.pgbho.com from 01/09/2015 to 15/09/2015. Subscribe our free job alert mail for Punjab Gramin Bank Recruitment 2015.